Box office opens 1 hour before. Lobby opens 30 minutes before. There is no audience seating. 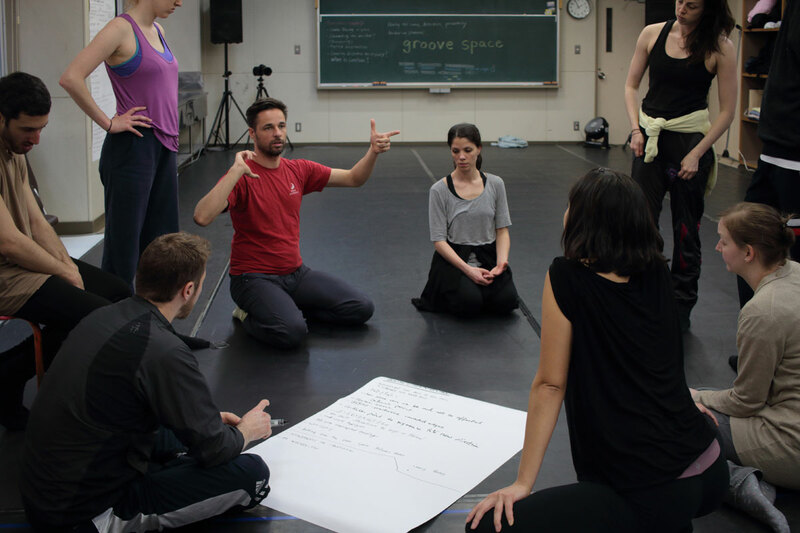 This performance series sets out to choreographically explore the specific “groove” of different cities with new collaborators each time. How do the inhabitants of a city move? What is the rhythm of their bodies? The latest entry in this fascinating project by Sebastian Matthias now comes to F/T as a co-production between Tokyo and Düsseldorf, the city with the most Japanese residents in Germany. 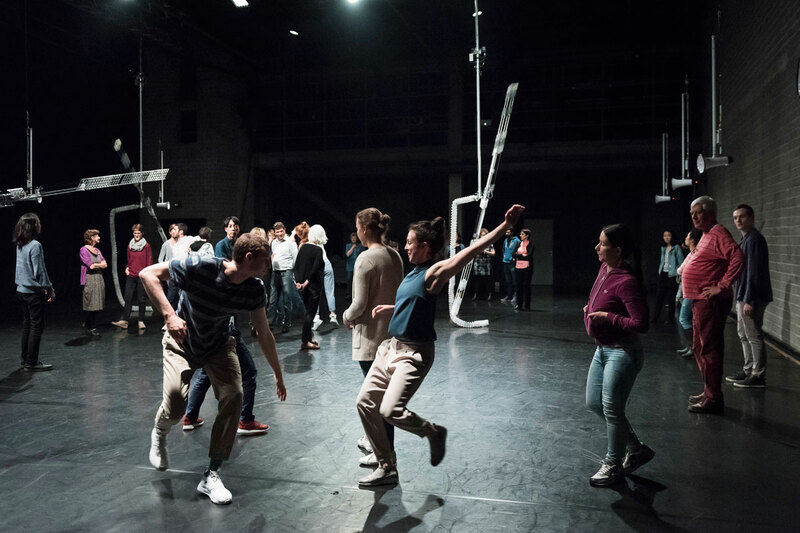 The results of the research into the shared groove of Tokyo and Düsseldorf are realized as installation, sound and space design by an international team of dancers and Japanese artists. In the performance there is no distinction between the stage and the audience. 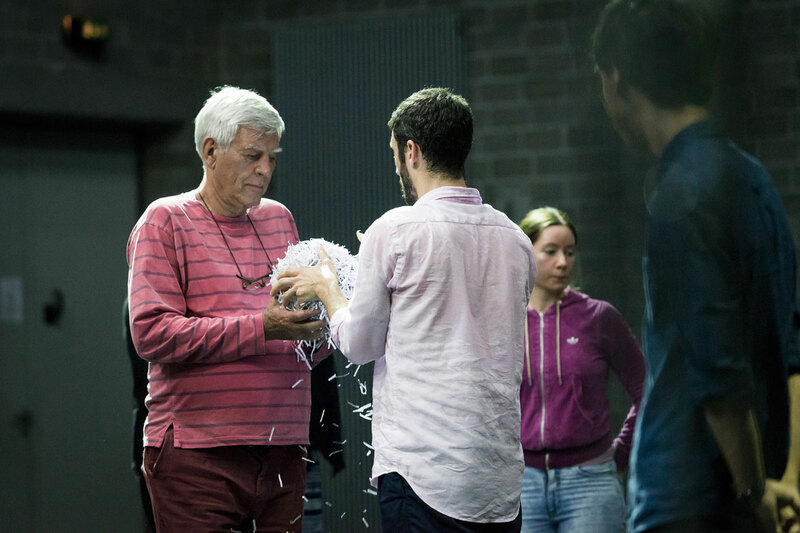 Rather, it attempts to integrate the audience and their response into a space that dismantles and reconstructs the city where the performance takes place, and thus presents us with an opportunity to reinterpret our community. Sebastian Matthias studied dance at the Juilliard School in New York and gained a MA in Dance Studies from the Free University in Berlin. 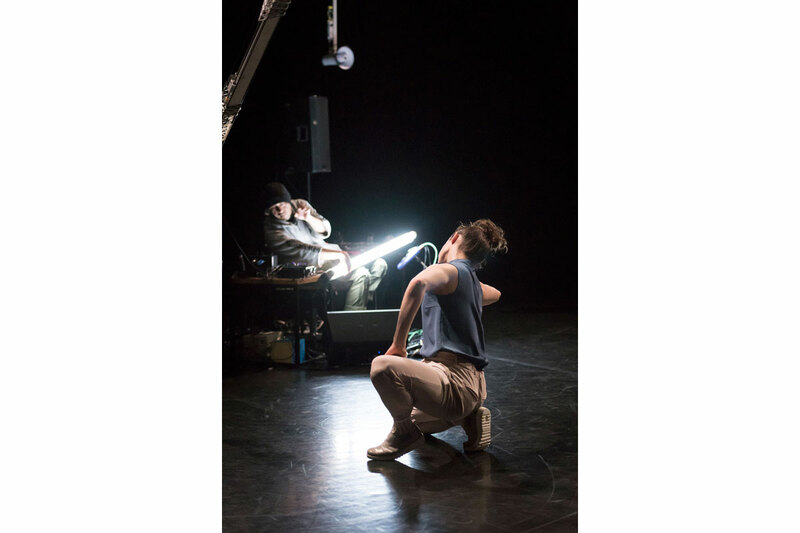 His choreography is based on modular improvisation systems which he develops together with his dancers in freelance productions, such as at Kampnagel and Sophiensaele, or institutions like Theater Luzern and Cullberg Ballet. From 2014 to 2016, he has been a Factory Artist at tanzhaus nrw in Düsseldorf. 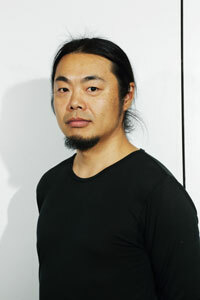 Atsuhiro Ito started working as an artist in the late 1980s. In 1998, he created Optron, a musical instrument integrated with a fluorescent lamp. 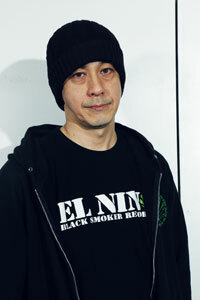 Since 2000, he has collaborated widely and performed with a range of sound artists and dancers. Born in Kyoto in 1975, Masaru Iwai completed a doctorate in art at Tokyo University of the Arts in 2009. He has created video art, performances and installations all around the world, exploring themes of cleaning and purification. His work examines the cyclical nature of our lives while seeming to expand on concepts of purity and impurity. 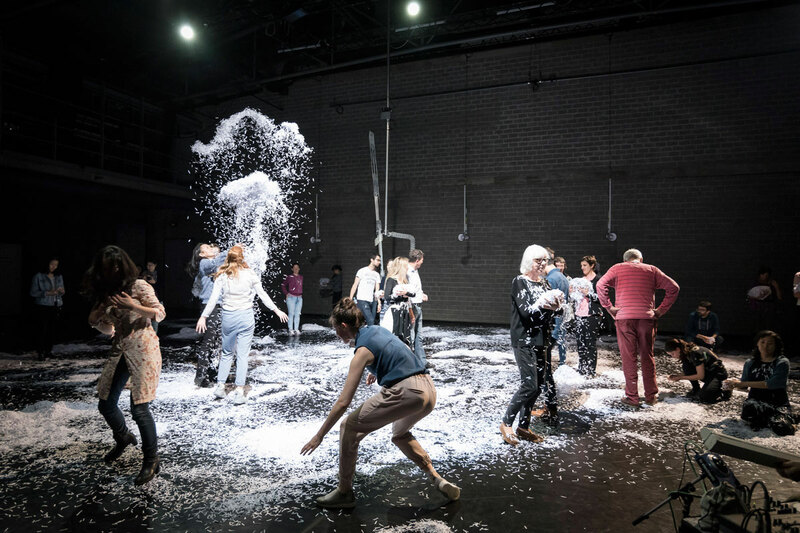 Designing mainly for contemporary dance and collaborating with musicians, Yoko Seyama has designed the scenography for Netherlands Dance Theatre choreographer Jiří Kylián’s work. 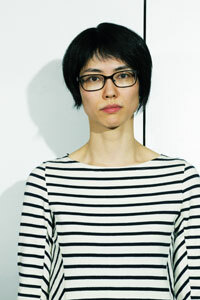 Her previous awards and grants include Filmhuis Works 10 (the Netherlands) and Pola Art Foundation. the NATIONALES PERFORMANCE NETZ (NPN) Coproduction Fund for Dance, which is funded by the Federal Government Commissioner for Culture and the Media on the basis of a decision by the German Bundestag as well as by the Kunststiftung NRW, the Ministry for Family, Children, Youth, Culture and Sport of the State of North Rhine-Westphalia, the Arts and Culture Foundation of the Sparkasse Düsseldorf and Japan Foundation. NITTO CUSTODIAL SERVICE Co., Ltd.
What specific temperaments and physical perceptions are shared in the grooves of Tokyo and Düsseldorf? 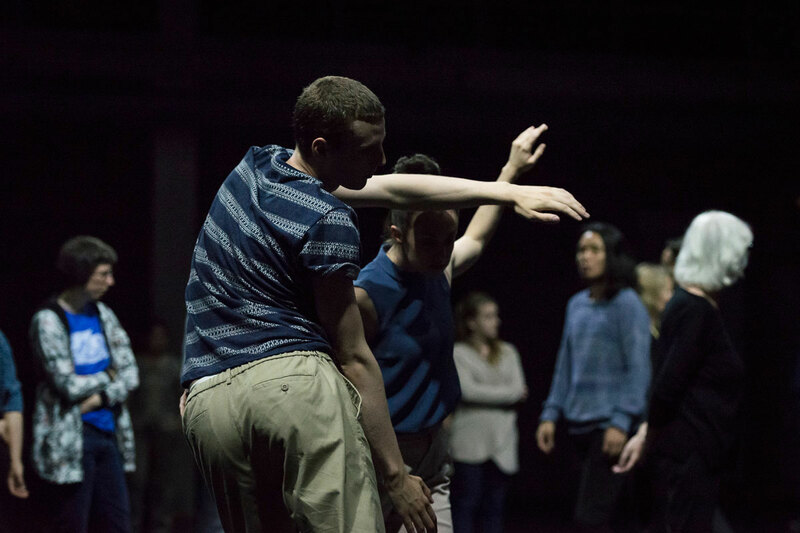 In order to investigate this question, Sebastian Matthias’ team has crisscrossed between the two cities researching and producing this dance work. In particular, the collaborators have focused on the Japanese community in Düsseldorf and the German community in Tokyo — that is, a double gaze from both the inside and the outside. Based on this joint perspective, the people who are a minority in one city become the majority in the other, and vice versa. 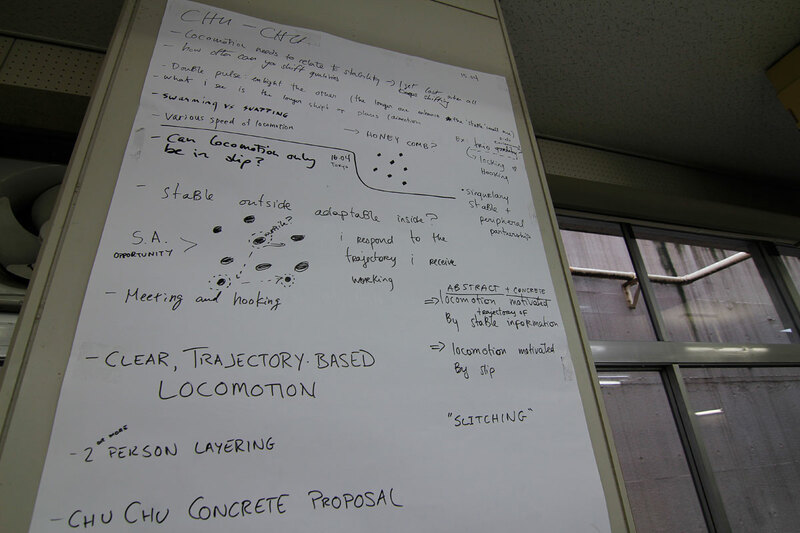 In this way, we became able to rethink the following problem: How can we share a single space with people from different backgrounds? 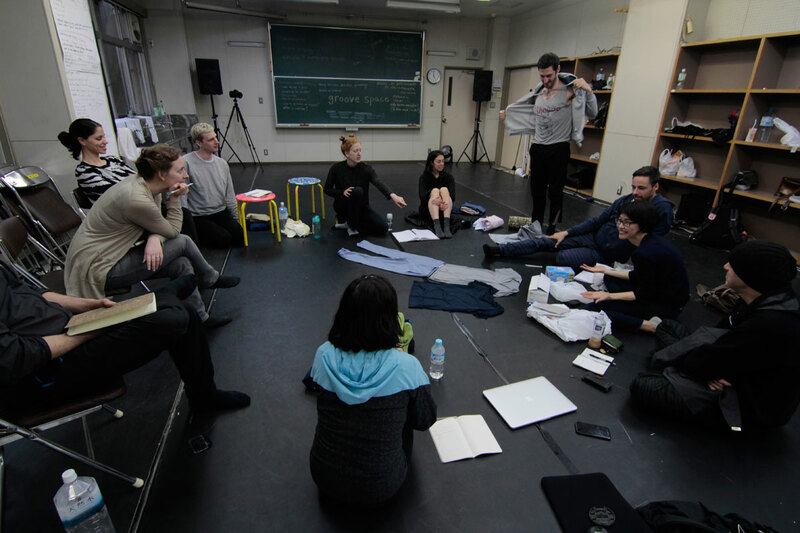 “x / groove space” is created collectively with Sebastian Matthias’ team of collaborators, a trio of three Japanese artists with connections in Tokyo: Atsuhiro Ito, Masaru Iwai, and Yoko Seyama. 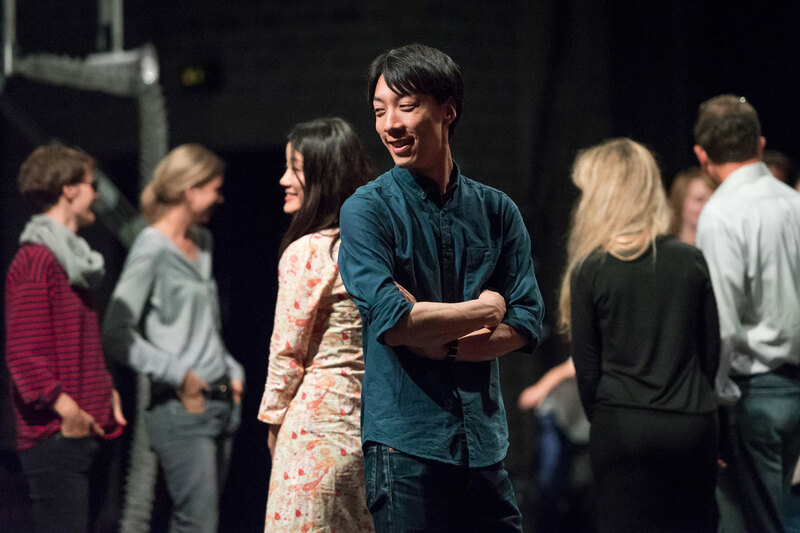 During the process of making the work, further members were added to the team: myself, the dramaturge Nanako Nakajima, who has been supporting the creative development of the work since it started, as well as seven dancers, and others who live in Düsseldorf and Tokyo. 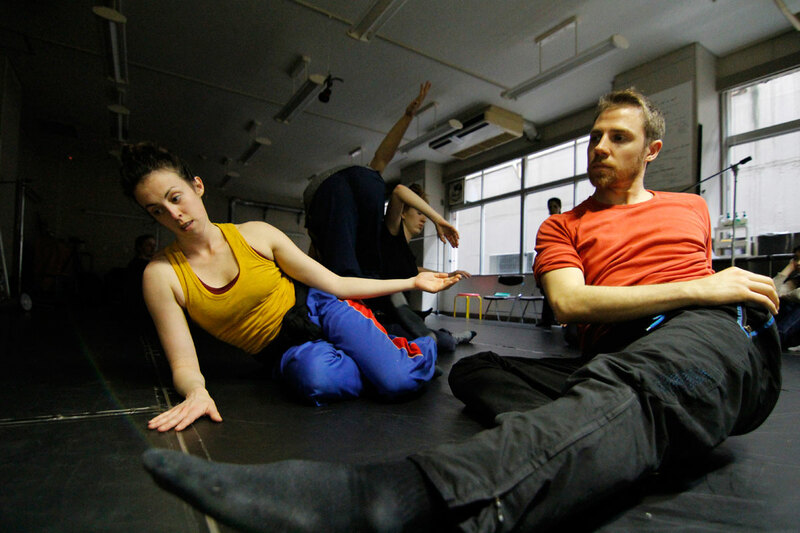 All have played an important role in launching the collective mechanics of the artist space that is this dance. The dramaturgy for this dance work has developed across multiple layers. The dance is an abstraction of the physical perception of pedestrians in both cities, producing multifocal choreography. Yoko Seyama’s kinetic sculptures create spatial fluctuations that resonate mutually between dancers and audience, along with the Optron live performance by Atsuhiro Ito and his light and sound installation. Masaru Iwai intervenes into the floor of the theatre. In this third space of video, he gazes down on the groove and intervenes in what is happening on stage. In this way, what is outside is drawn into the art space, raising the following question: By whom, and for whom, is the theatre space made? The way in which we feel and perceive a public space is constructed both politically and culturally. Simultaneously, the globalized urban space is also influenced by the various people who live in the city’s local communities. We become aware of this for the first time in the moment when our gaze encounters that of the apparent Other. 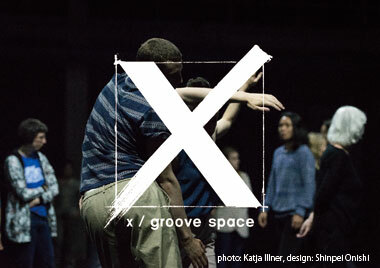 The actual performance of “x / groove space” is created out of temporary connections between two spatially divided places, and adds movement to this. 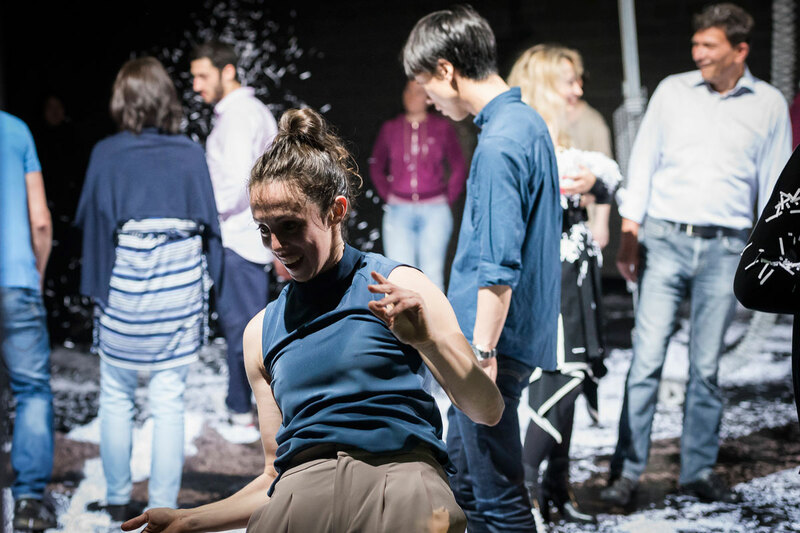 That is, it creates connections between Düsseldorf and Tokyo, between the gaze of video that records and the live nature of theatre, between the social space and the artistic space — and elicits movement from this.